Do you think that PhoneDog has no right to sue Noah Kravitz over ownership of a Twitter account he opened while working for the company? If you answered yes, this next story is going to seem like it’s coming right out of the Twilight Zone. This time it doesn’t involve Twitter. It’s not a Facebook page. It’s not a Google+ account. Instead, as TechDirt tells us, it’s a LinkedIn account. That’s right. The account that you use to document your personal work history, where you list all the companies you’ve worked at, all the achievements you’ve made and pretty much every significant milestone in your career. Dr. Linda Eagle is embroiled in a battle for her own LinkedIn account. The company in question, Sawabeh Information Services Company (SISCOM), has claimed that Dr. Eagle “misappropriated” her LinkedIn account and contacts because she dared to use the account after she was fired. Dr. Eagle and SISCOM’s backstory is not a simple one, which you can read more about here, but to cut a long story short, the pair were already embroiled in litigation, and her LinkedIn account seems to be the cherry on top of a bizarre cake. It’s obvious what SISCOM is thinking. 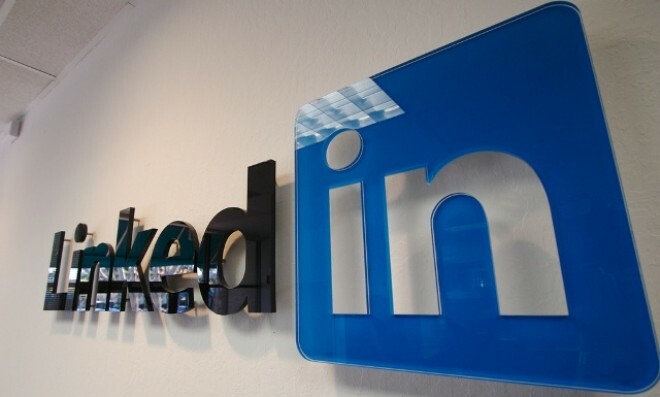 LinkedIn contacts are no different from contacts you accumulate in your company address book, and as a result, the company is the rightful owner. But then where do companies draw the line? Do they start withdrawing certificates you earned as a result of workshops you attended on their watch? Do they renege on any achievements you’ve made during your time with the company? Employment in any given company can give you exposure, and that exposure can translate into more followers on Twitter as may have been the case for Noah Kravitz, or more contacts on LinkedIn as may have been the case for Dr. Linda Eagle. But just because your job affords you certain amenities certainly doesn’t mean that once you leave that job, forced or otherwise, you have to give all of that back. In Dr. Eagle’s case, not only are they saying that the account is rightfully theirs, they also gained access to it, and replaced her name and profile photo with that of another employee. When they tried to do the same with Clifford Brody, another employee who was let go, they realised that they had the pesky little obstacle of not having his password. According to TechDirt, SISCOM actually contacted LinkedIn to retrieve the password and of course were turned away. SISCOM’s claim, like PhoneDog’s, is that the company invested its own time, money and effort into the LinkedIn account. It veers away from the PhoneDog/Noah Kravitz lawsuit by adding that it was other employees who contributed to maintaining the account, which is how they were able to go ahead and change the information on the account without Dr. Eagle’s knowledge, effectively locking her out of her LinkedIn account. This still simply doesn’t jive. If I hire someone to maintain my LinkedIn account, this doesn’t give them ownership over my account or its contents. As TechDirt points out, SISCOM may have a case as far as a list of contacts is concerned, but laying claim to the actual LinkedIn account is no different from the PhoneDog debacle. It is yet another example of a misguided case that will simply steer employees away from using efficient social media tools which make them better at their jobs.